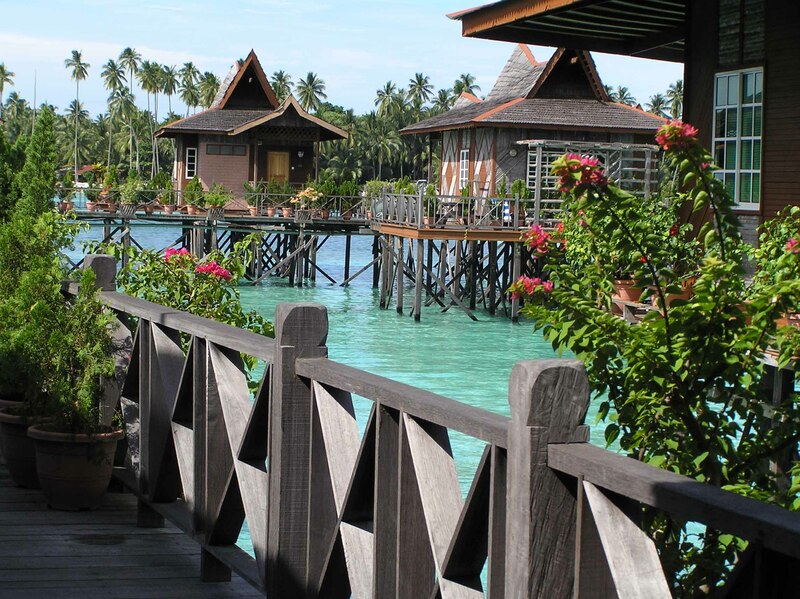 Sipadan Island, a jewel in the Celebes Sea, is situated in an area renowned for its spectacular diving sites. In 2000 it made the headlines when 30 or so holidaying tourists were kidnapped and held to ransom. Thanks to the abductions tourists are no longer allowed to stay over-night, the only residents being a skeleton staff of army personnel. 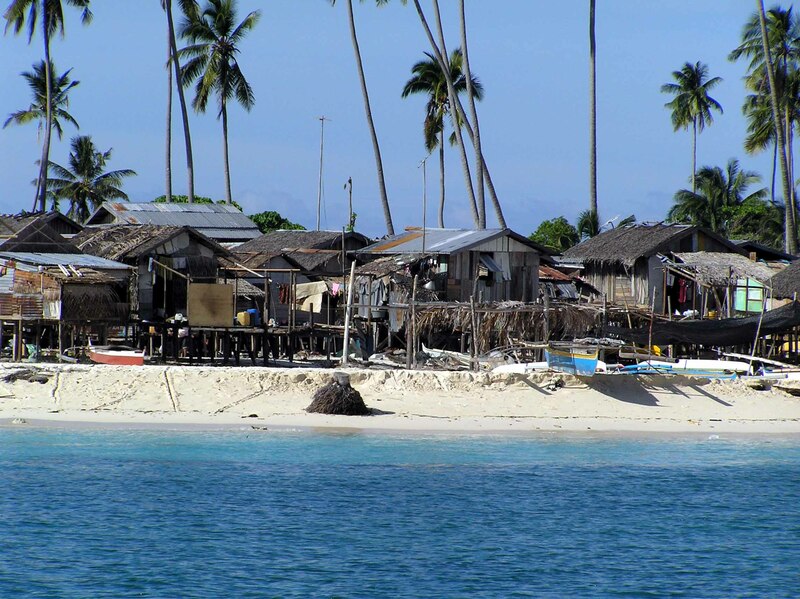 The nearest island to Sipadan is Mabul. 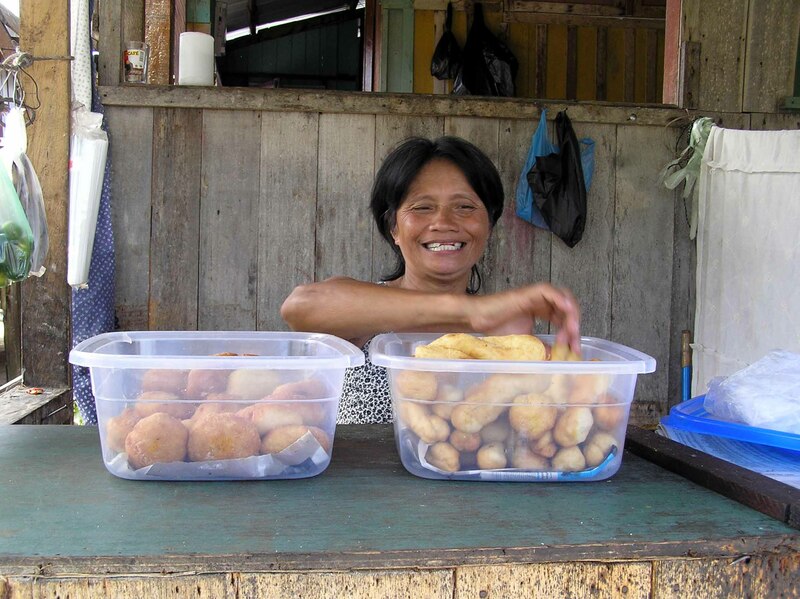 Accommodation is either very expensive bungalows built out from the beach over limpid azure water or basic wooden huts, where tourists can live side by side with the burgeoning population of philippine refugees. Walking around the island one can’t help but compare the rich tourist lodgings to the overcrowded conditions that the islanders live in. Any thoughts of treating oneself to a couple of nights of luxury dispel after wandering through the impoverished shanty town . Bolstering the fragile economy by buying from the makeshift shops seems like a much better way to spend the money. Uncle Chan’s, based on Mabul, has a reputation for being hospitable, cheap and a good place to access Sipadan. Unfortunately, as a dive school it would probably fail to meet the professions safety standards. Faulty equipment, torn suits, half empty oxygen tanks, broken gauges, hung-over irresponsible instructors – during my stay all of these issues were experienced by the divers. At night music and noise from the drinkers would crank up to a high decibel level and carry on until the early hours – sleep was often impossible. The staff got hammered on a nightly basis and rarely were in a fit state to teach the next day. Word around the guests was that it was only a matter of time before there was a tragedy. In order to escape the appalling music and nightly drinking sessions, some left and found other lodgings, others headed down to the beach bars for a quiet drink and some went turtle watching out on the jetty. As it was the beginning of the rainy season a peaceful drink often started out in front of the bar and ended up inside with all hatches battened down as the rain attempted to smash its way through the wood. After several attempts at the world record to see how many people we could get into a beach bar the size of a rabbit hutch and still get served (you would be surprised!!) we decided that the limited selection of restaurants were a better option, Here every night was locals night, dress code was Hawaiian shirts, entertainment was either karaoke or dance off competitions consisting of suggestive Indian belly dancing – I had a ball. After lounging around a few days it was our turn to go to the island. As expected the snorkelling was amazing and Sipadan was gorgeous. 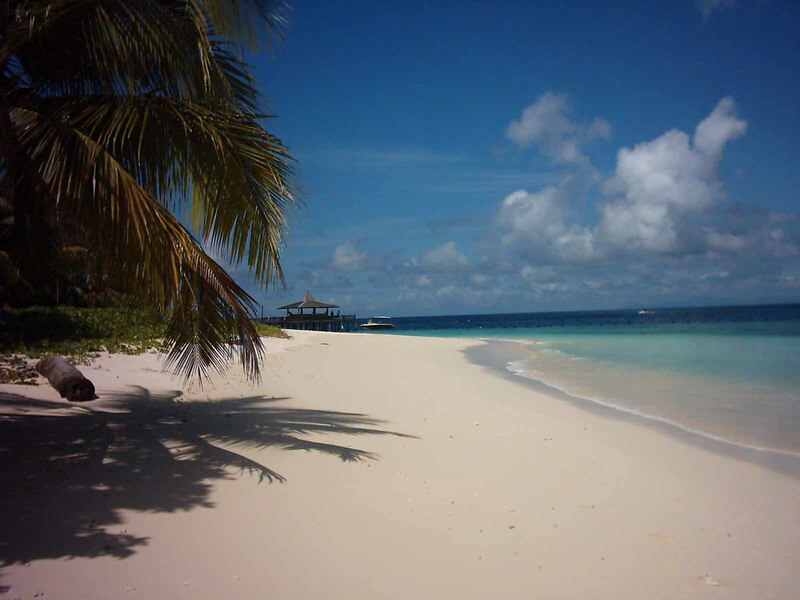 Clear water and coral reefs packed with fish, turtles everywhere, reef sharks, white sandy beaches. Definately worth all the sleepless nights. A word of warning though. If your instructor suddenly disappears when you’re under the blue, don’t panic like my friend and did and think that you’ve been left behind. Remember this isn’t Australia, where the crew seem incapable of carrying out a simple head count before heading for home minus a body or two. Check the boat deck. Odds on he’ll be having a smoke and recovering from the night before.